Long time WMRC member and current program director Dave Downie has been very busy creating scenery on his layout. A good friend of his, who was a year into constructing a large two level layout, challenged him to start scenery. Dave his a highly skilled model railroader. His benchwork is superb (you should see his helix) and he knows his way around wiring and modern electronics. But his layout was void of scenery. He accepted the challenge and jumped in with both feet. Using plaster impregnated cloth, molding plaster, Sculptamold, home made ground foam with commercial ballast, he now has hard shell over his entire upper level, and he will be making all of his own trees. He started building Mount Waverley on the second level, which is almost 20 feet in length. More detailed work still needs to be done but Dave is quite pleased with the results. The mountain is very imposing and provides an excellent view block between areas of the layout. Keep up the good work, Dave! 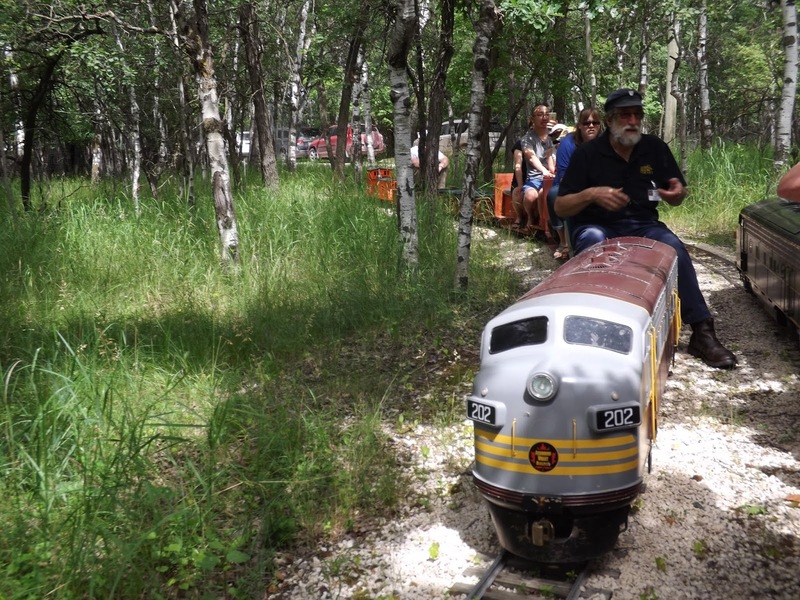 Long time WMRC member and noted model railroad philosopher John Longhurst sent us this very moving story about a man with multiple sclerosis who has built a massive O gauge 3 rail Lionel layout in his basement. David MacKinnon of Whitney Pier in Cape Breton, Nova Scotia is unable to work because of his MS, and building this layout was his way of coping with the disease. He has been working on the layout for 20 years. This news story was broadcast on CTV News and published online on May 23. You can view the video (which has some great model railroad action scenes) by clicking here. Portage Heritage Inc. & Portage Model Railroad Club will host the 2018 Train Day & Open House at the CP Station in Portage la Prairie on June 16th, from 10:00am to 4:00pm. There will be model train displays, souvenir & railway items for sale, and BBQ burgers & hotdogs available for lunch from 11am to 2pm. There will also be a raffle to wina ride in the caboose at the Prairie Dog Central Railway! Raffle tickets are $2.00 each. All proceeds from the event go toward the finishing touches of the station renovations. Admission is free! 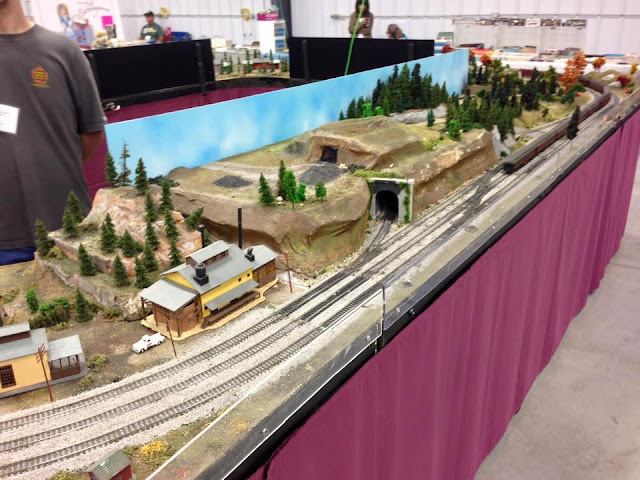 Winnipeg Model Railroad Club blog passes the 200,000 viewers mark! 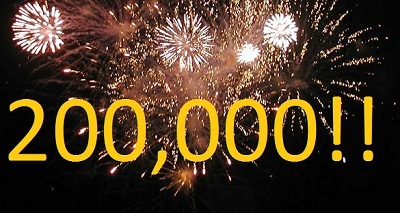 The WMRC blog passed the 200,000 viewers mark a few days ago. When this blog was started just a little under five years ago we never would've believed that we'd reach so many views this soon! That's an average of 40,000 views per year! That's just a fraction under 110 views a day! Thanks to all of our readers, club members, model railroaders and rail fans who have viewed this blog and have made it so successful! It's that time of the year again! And what a great time to ride the Assiniboine Valley Railway again! They're having their first public open house of the year weekend, and it's gonna be a blast! They're open from 11:00AM to 5:00PM on Saturday, June 9, and from 1:00PM to 5:00PM on Sunday, June 10. A ride costs two bucks and you can buy a 12 ride pass for only $20! Kids two years of age and under ride for free. All minors must be accompanied by an adult. The AVR is located at 3001 Roblin Boulevard, just west of Assiniboine Park.